Keep his mouth shut about what they do together. Never tease her about her friend (and unrequited crush) Ben. 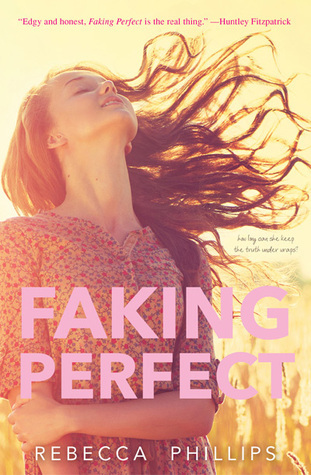 This book was like a Kody Keplinger/Katie McGarry/Sarah Dessen mash-up. It was a super quick read for me as it’s 272 pages, and I read it in a few hours. Lexi had a no strings attached relationship with Tyler, which he was fine with at first. Now, towards the end of senior year, Tyler realizes he’s in love with her and wants more from the relationship. Lexi does not feel the same way as she’s still pinning after her friend, Ben, who may not be as perfect as Lexi seems to believe. Lexi has a mom with a long list of dirtbag boyfriends and an absent father. Over the course of the novel, Lexi has to deal with reconnecting with her father and his new family as well as facing her mother’s terrible, new boyfriend. One thing I didn’t like was how Lexi’s mom handled her past and current boyfriends. I found it strange how she could leave Lexi’s father, but still had boyfriends that abused her or sexual harassed Lexi. However, I did really enjoy Lexi’s relationship with her best friend, Nolan, and his family. Even though Lexi has not had the easiest home life, I was glad that she has always had a safe and comfortable place she could run to. I especially liked that Nolan and Lexi’s relationship was strictly a friendship. Now, the love triangle that didn’t really feel like a love triangle. I felt this way because Lexi didn’t choose between the boys in traditional way. Yes, there are two boys who both want to be with her, but the relationships begin/end in separate ways. Overall, this was exactly the kind of read I was in the mood for at the time. If you’re looking for an easy and enjoyable contemporary read, you should give this a try.